You might have noticed that this pastel blue is popping up everywhere nowadays! Blue has been my favorite color for such a long time now, though I don't like to wear colors in my outfits, I absolutely love this shade as it's very soft and not really 'color splashing' as cobalt of electric blue for example. You'll definitely see more of it on my blog! What about you? Happy weekend! I love the way you mixed neutral colours! Gorgeous outfit! Oh die sweater! Prachtige kleur! Absolutely adore this mango coat! Gorgeous color styled w pale blue which I love too! Yessss. Ik ben ook fan van baby blue! Mooi, babe! You look so pretty! Colour of your coat is amazing! You have such a way with layers, looks amazing! 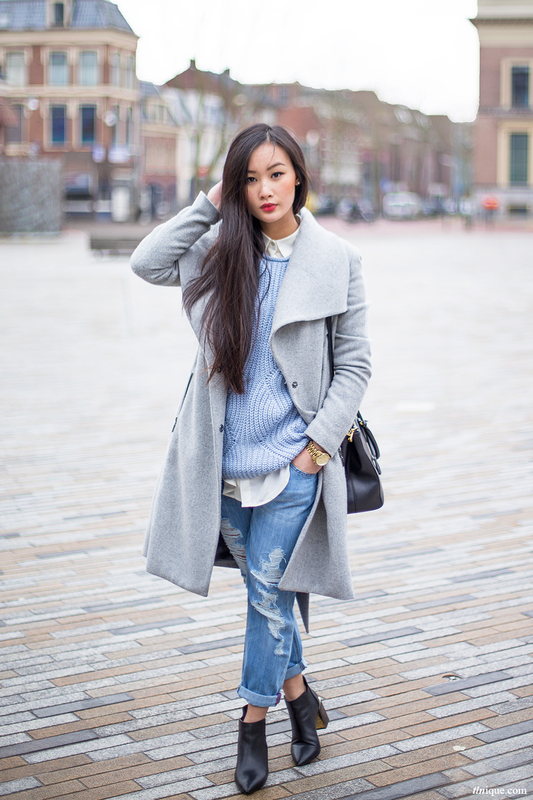 Lovely coat- this look is lovely! soo G O R G E O U S! I definitely prefer this softer shade of blue, its so romantic! Love the outfit a lot and the baby blue jumper is gorgeous! Oh so amazing look my dear! LOVE the blue knit!! This outfit is perfect. 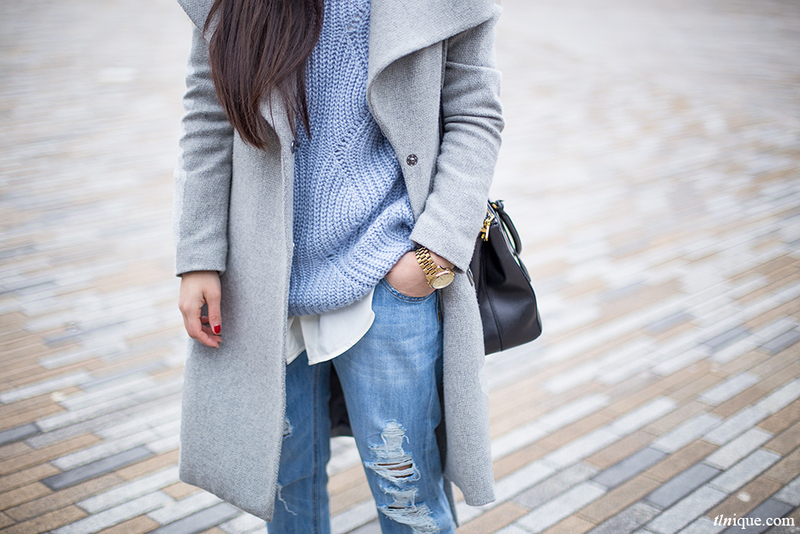 Such a cute/cozy look! Loving your coat and boots!